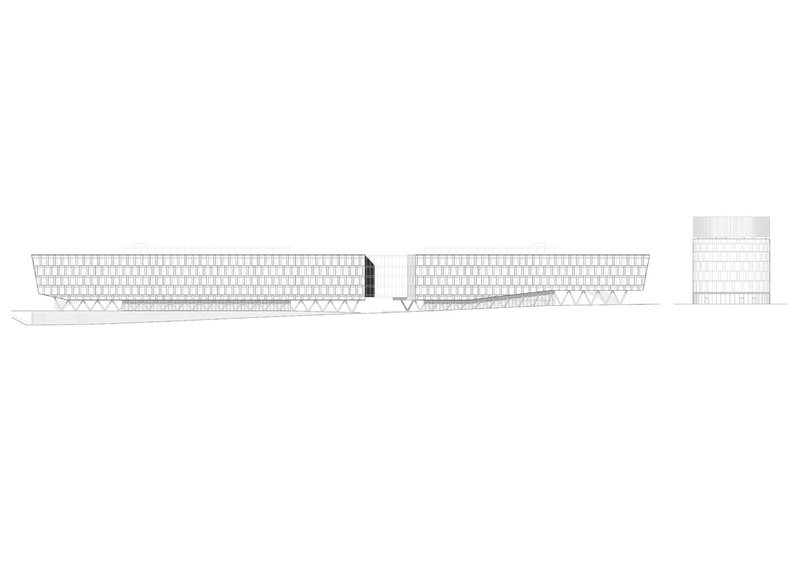 A true exclamation-point! 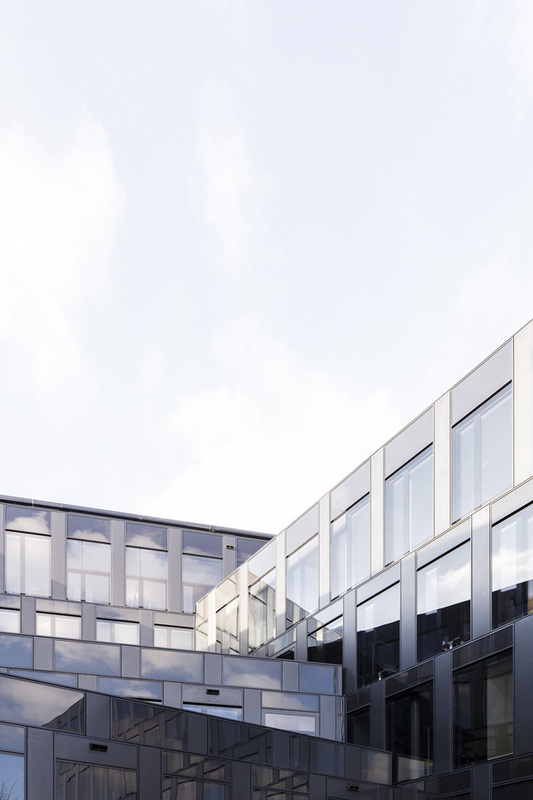 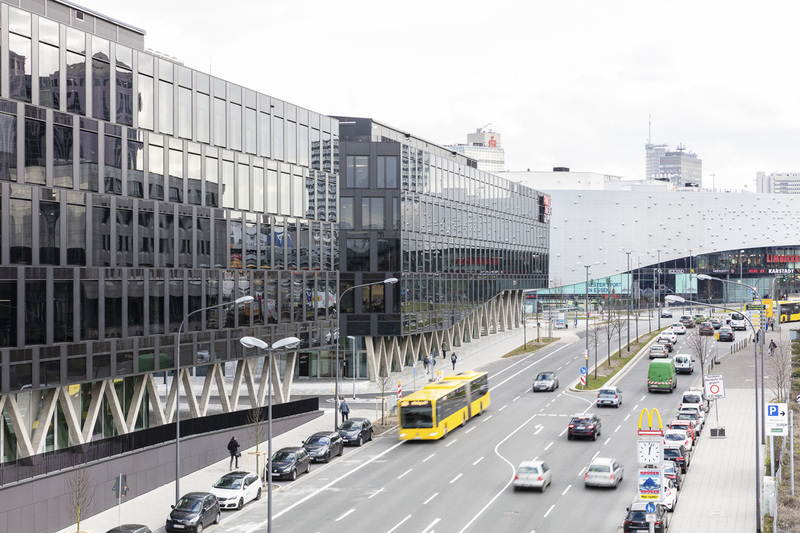 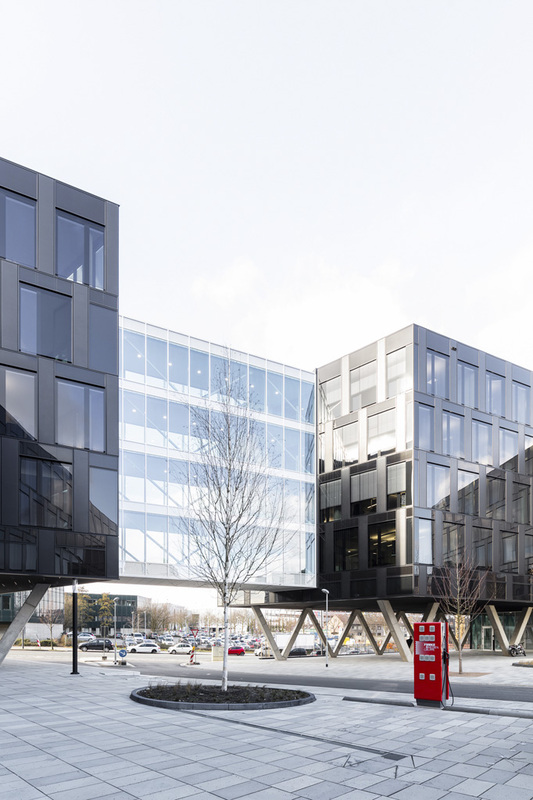 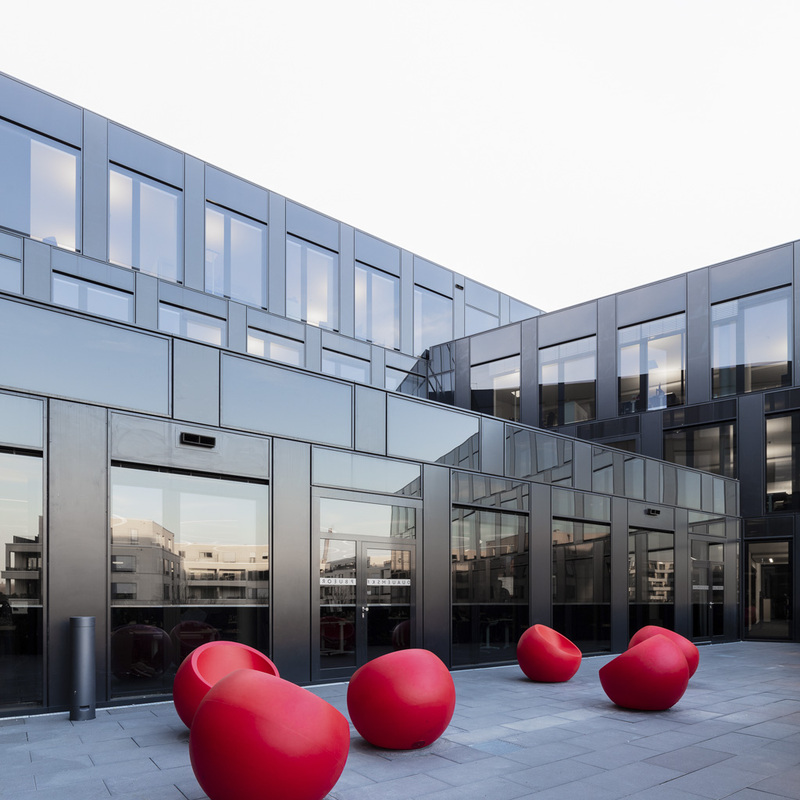 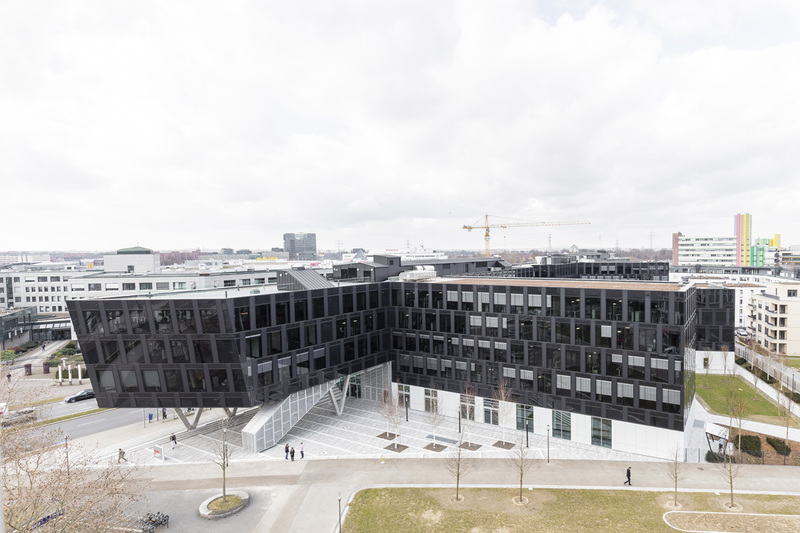 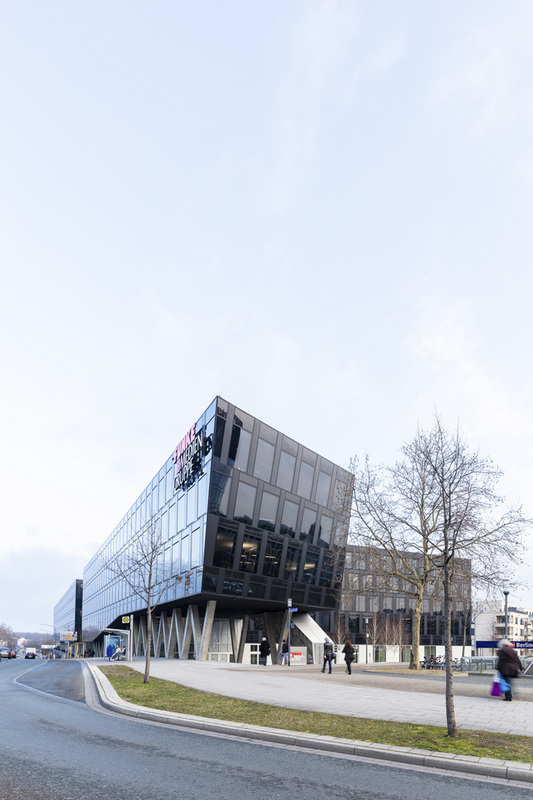 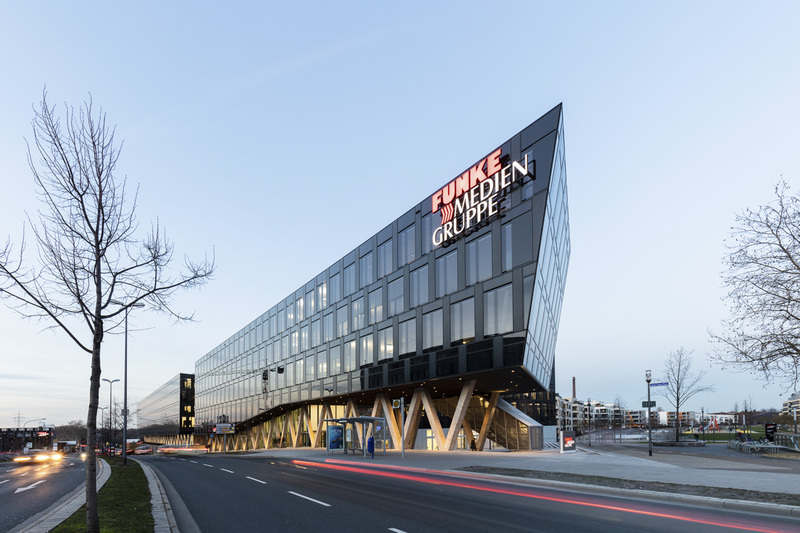 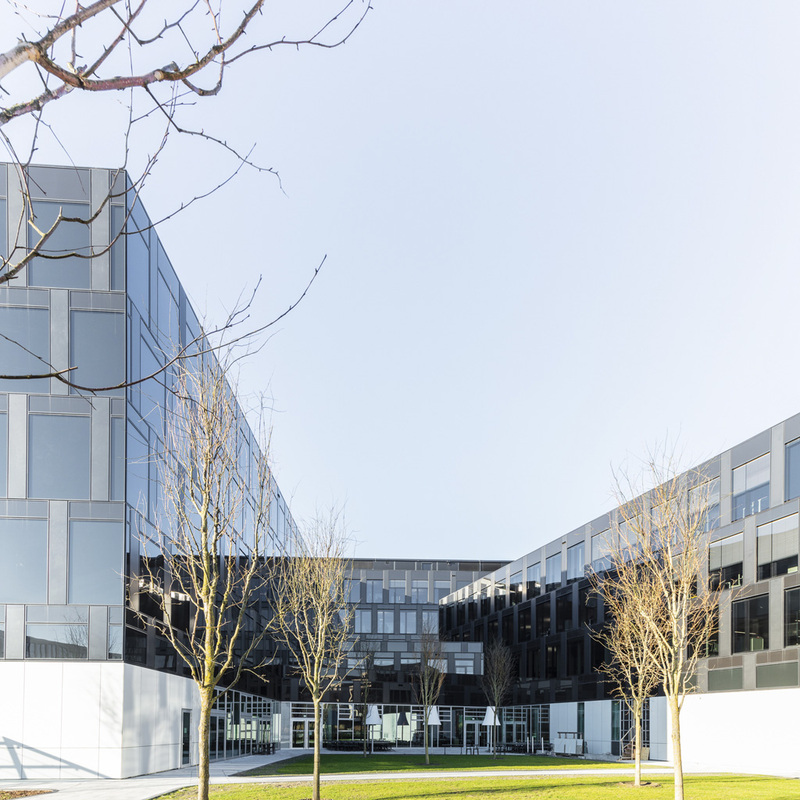 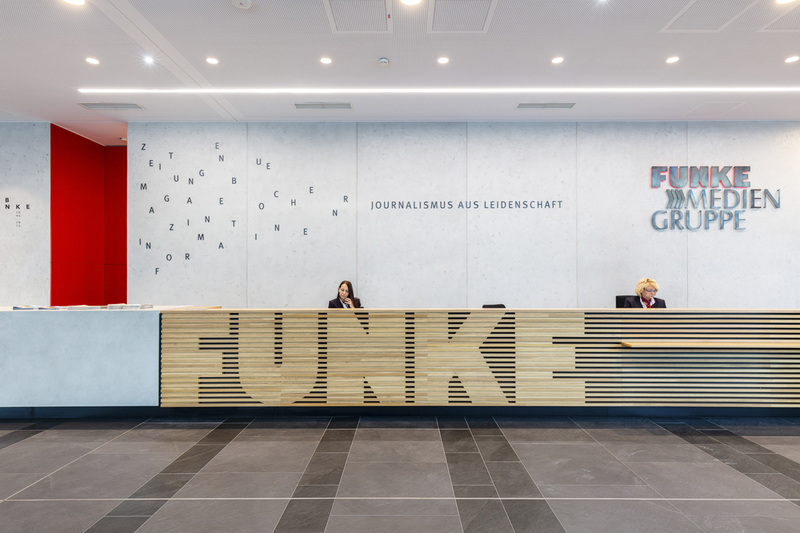 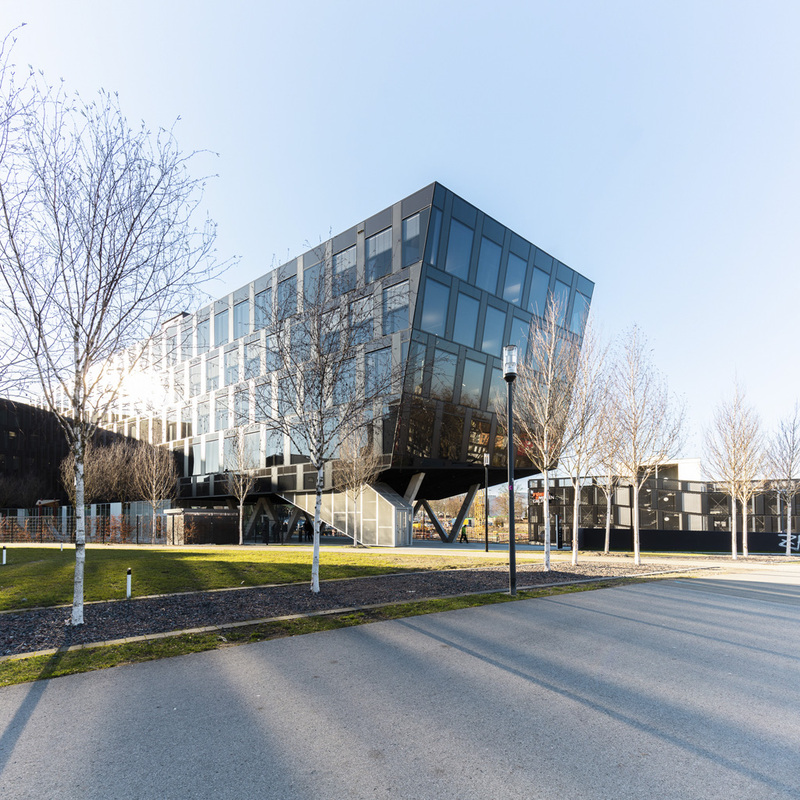 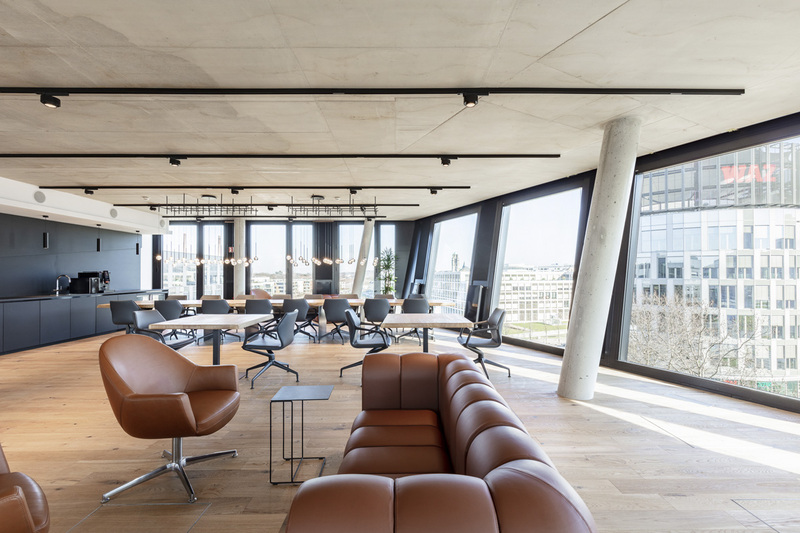 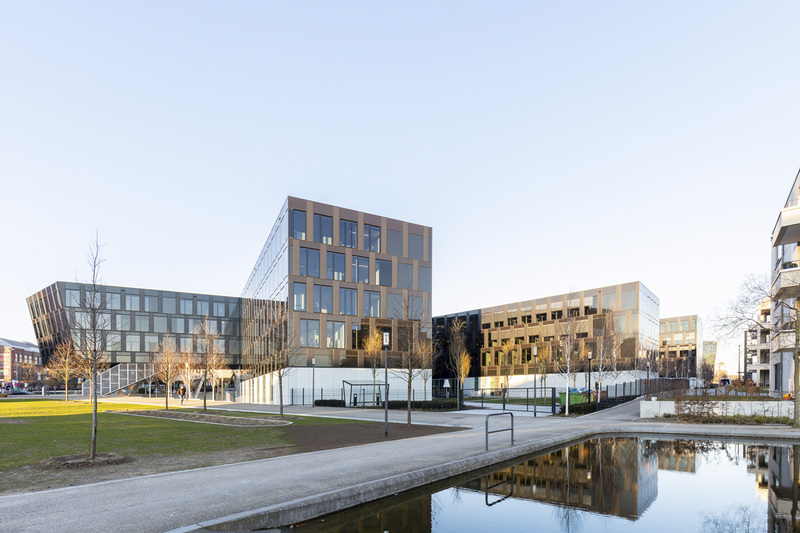 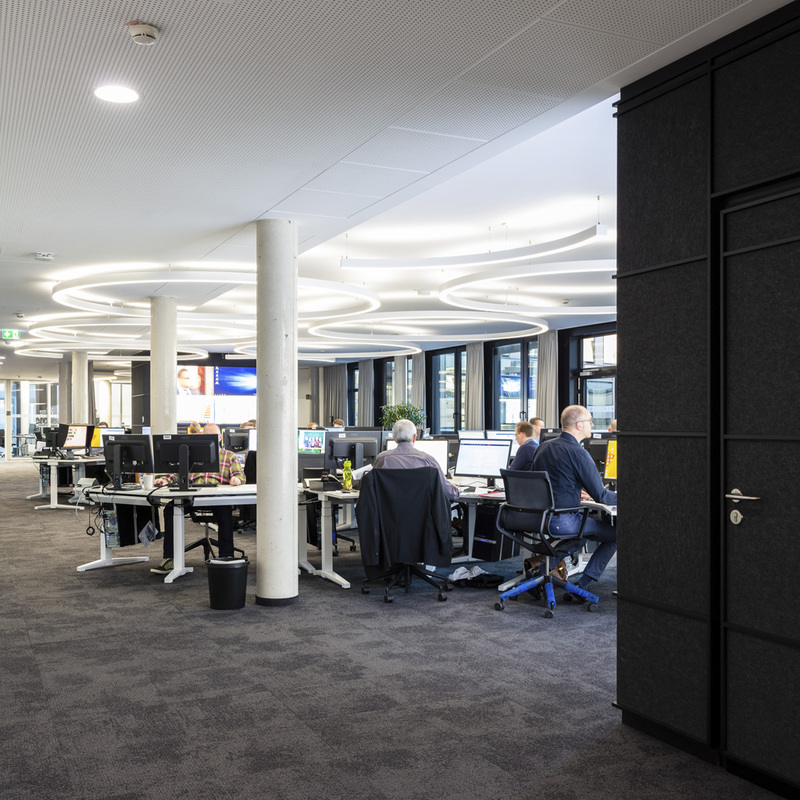 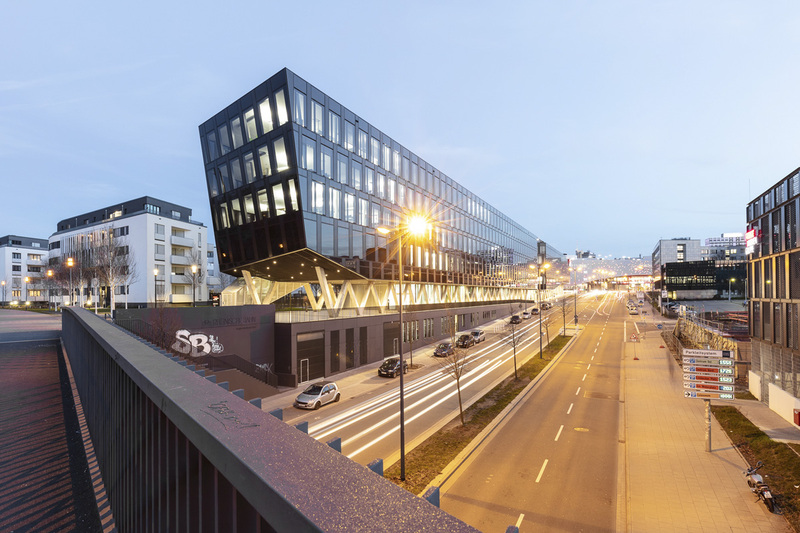 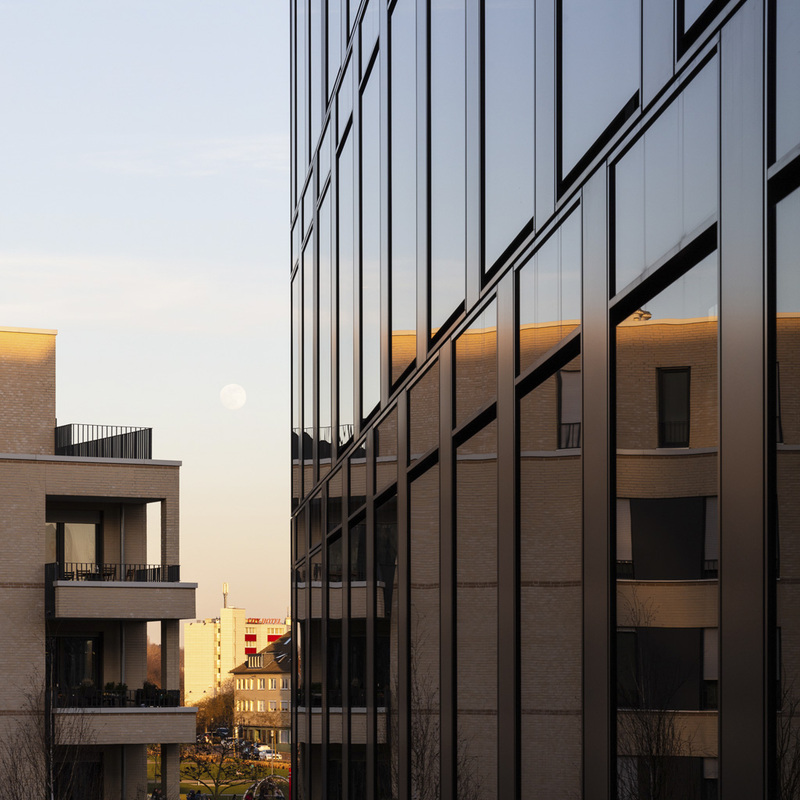 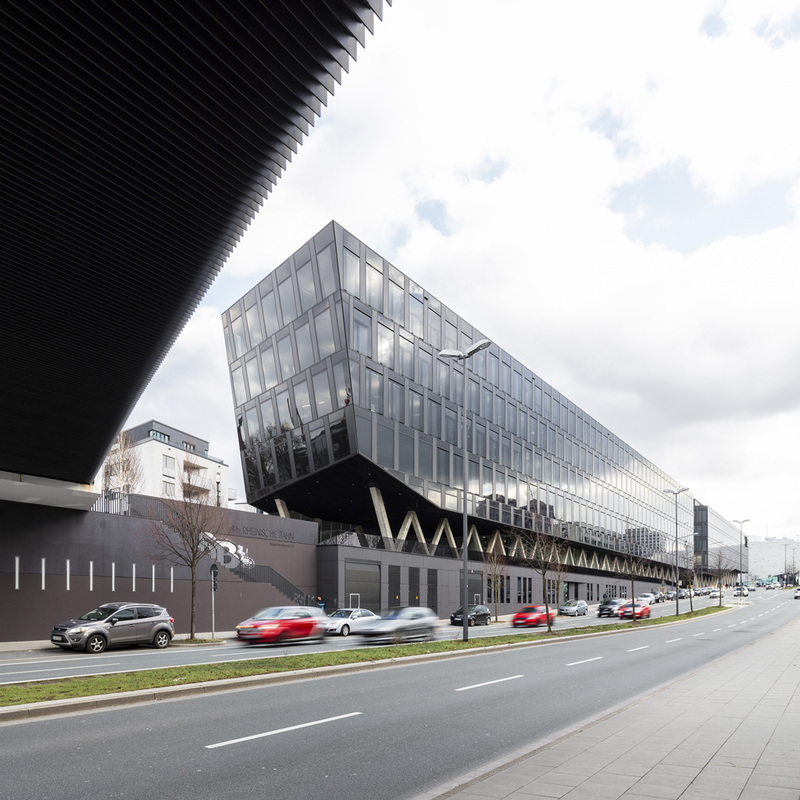 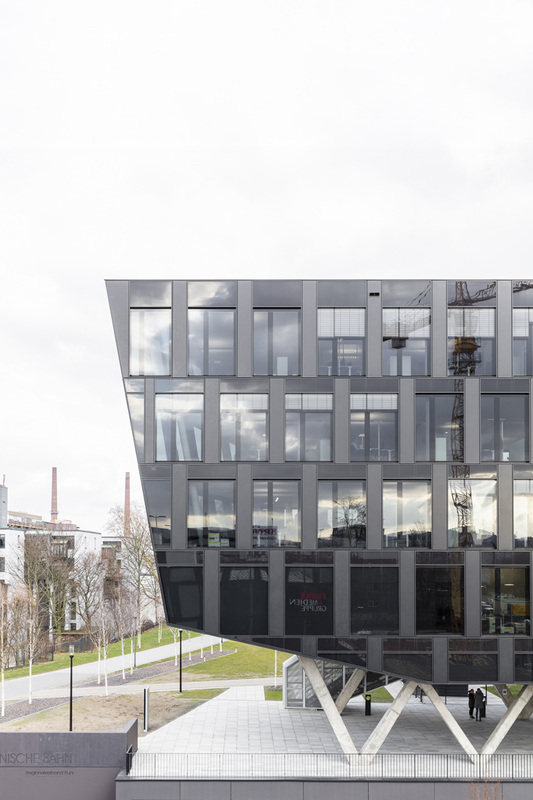 The newly opened headquarter of the international Funke Media Group defines a coherent urban-design ensemble, which, like a well-proportioned body, is articulated as a consistent whole. 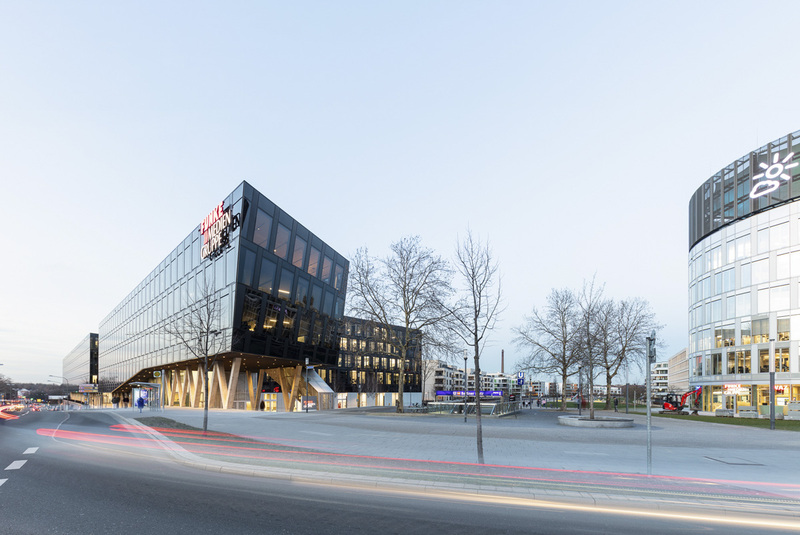 Its head: the Funke Media Tower which also accommodates the News Wall, Germany’s largest LED video wall. 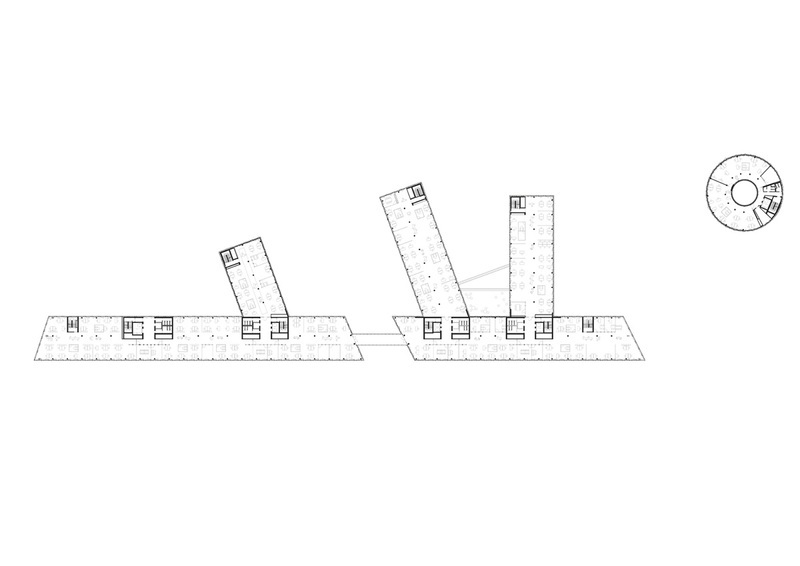 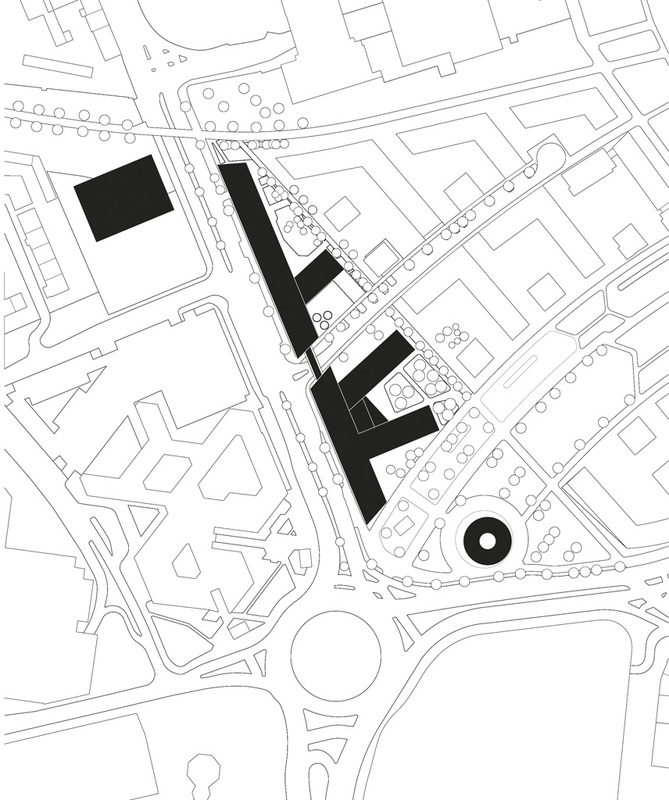 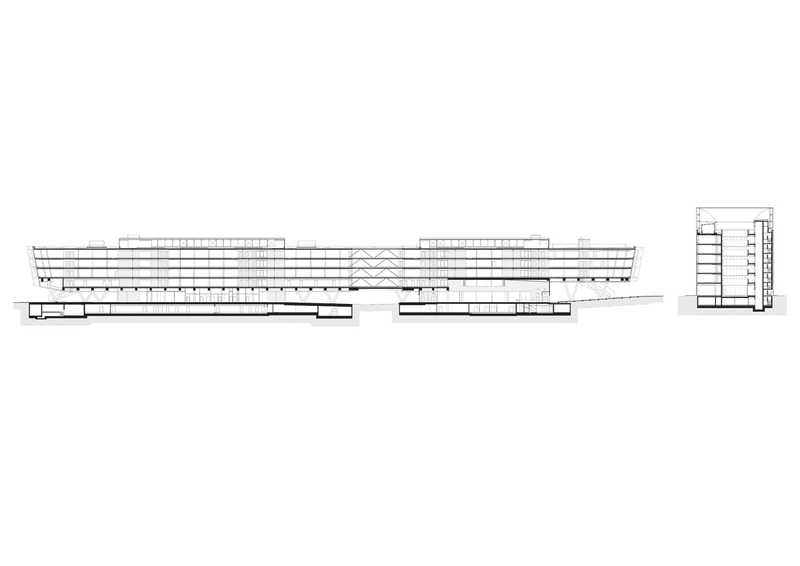 Its fingers: the surrounding buildings, laid out for variable uses, which was a crucial factor in the planning process. 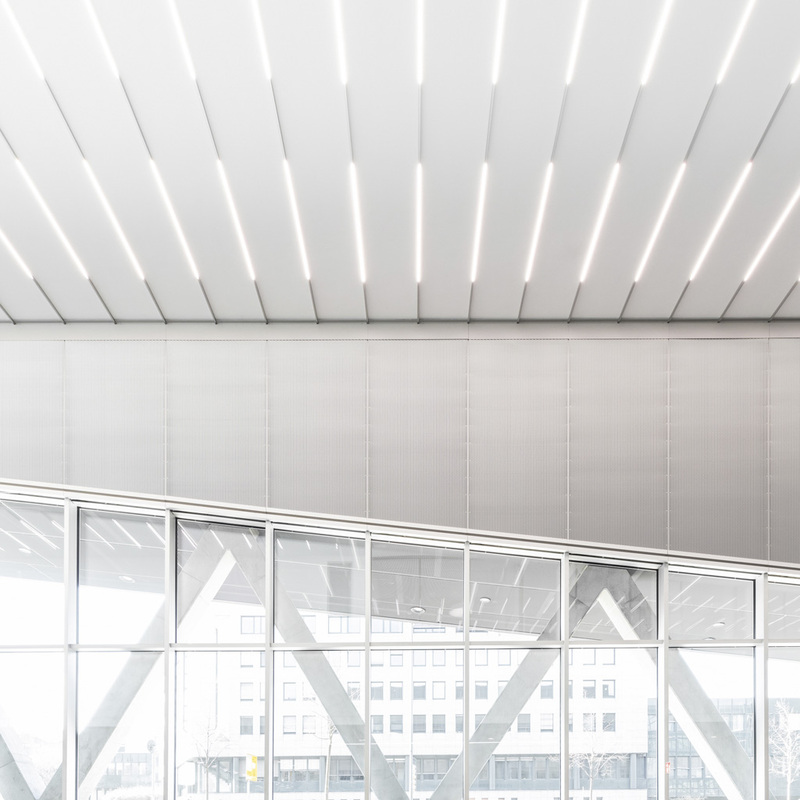 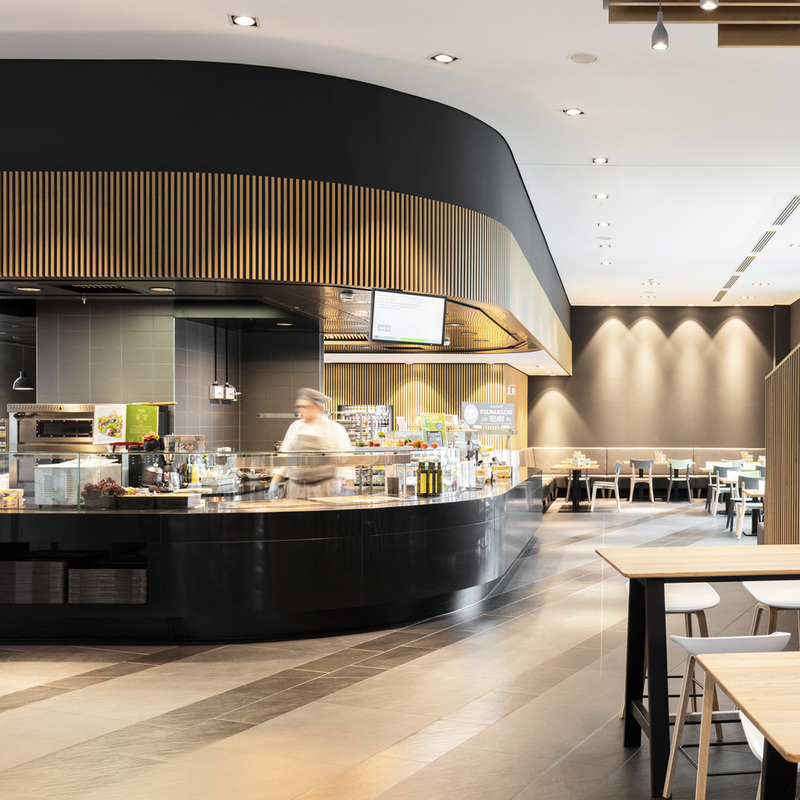 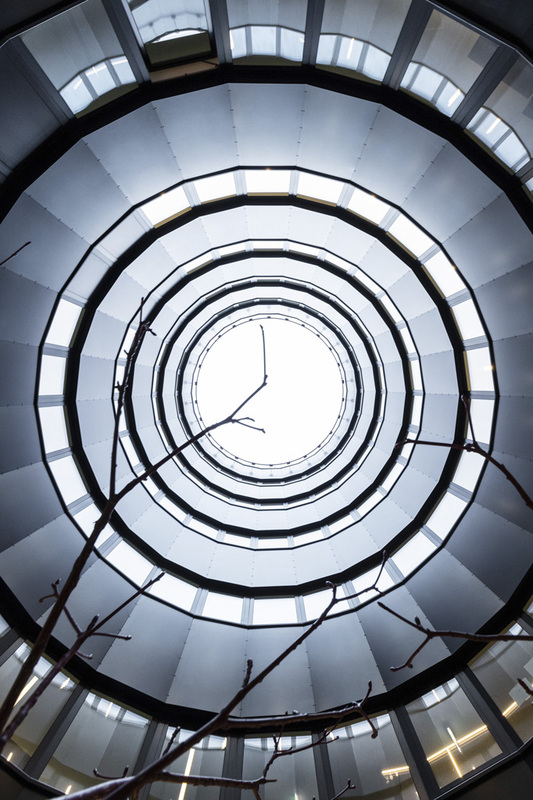 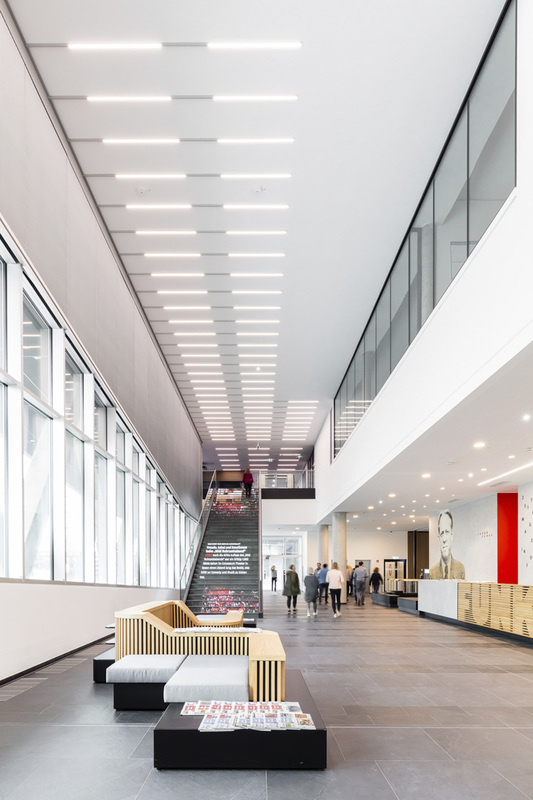 Pursuant to this approach, the ensemble also comprises public areas such as lobbies, restaurants, and conference rooms as well as areas of amenity and recreation. 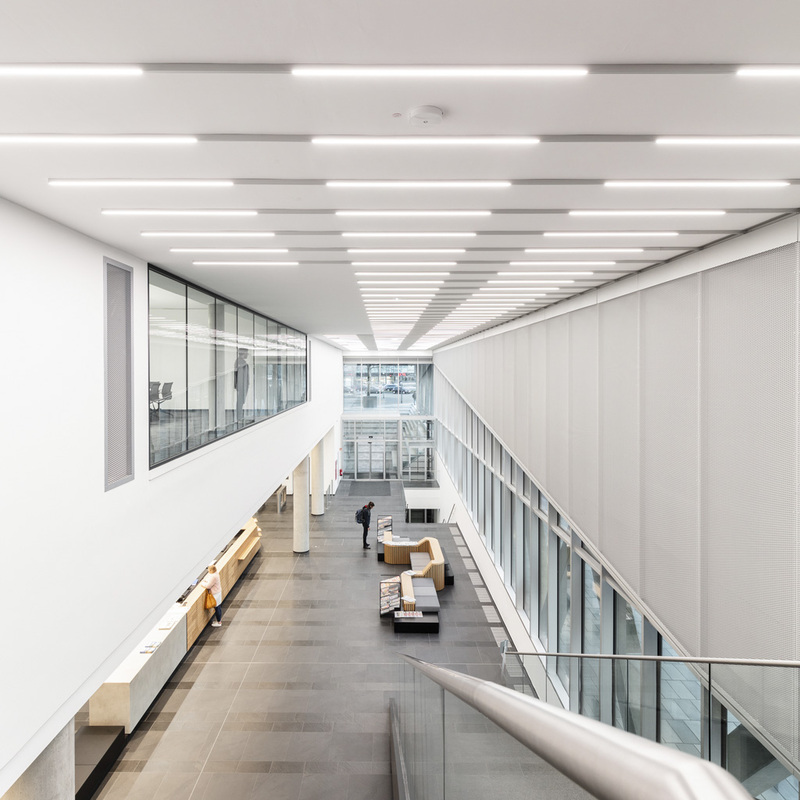 In the interior, the pronounced planning idea is inscribed in the different usable areas: newsrooms meet offices, a day-care center for children or employee training facilities. 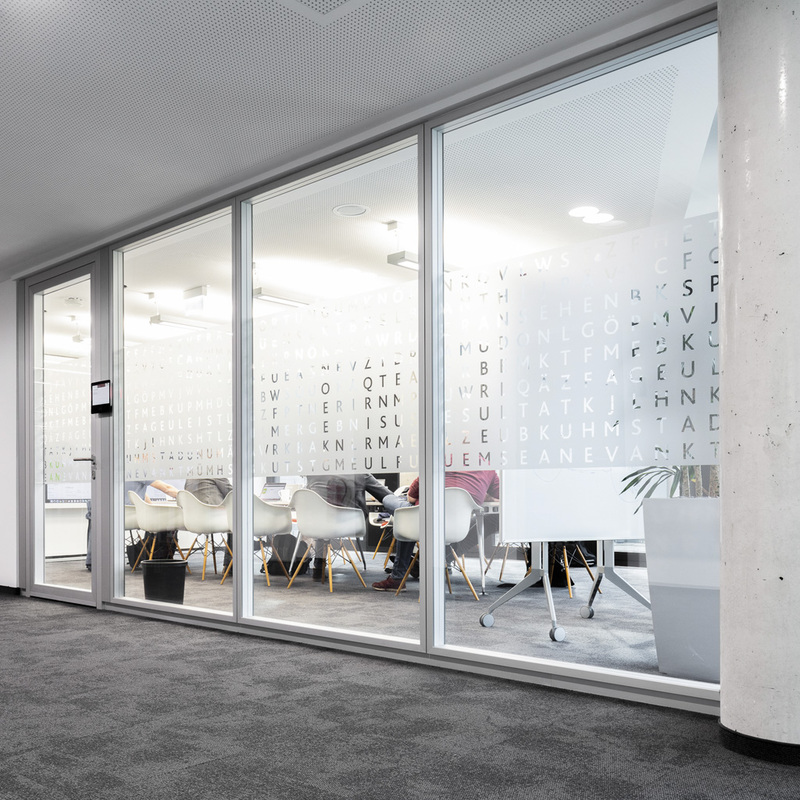 Based on the colors black, silver, and white, the design concept also references the printing process—metaphorically, the printing ink is put on white paper by silver stamps. 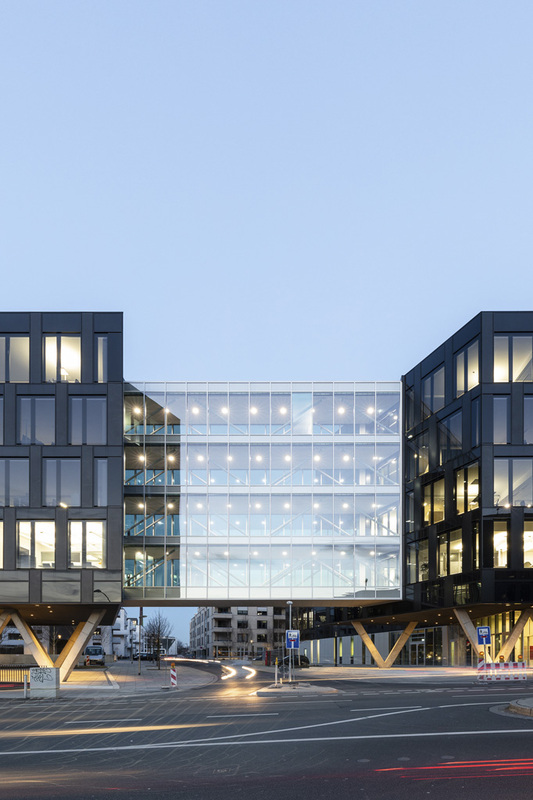 As an architectural footnote, large stretches of cast-stone tiling in the outdoor areas, punctuated by water basins, rows of closely planted trees, and courtyard-like green areas underscore the overall urban character of the new corporate headquarters. 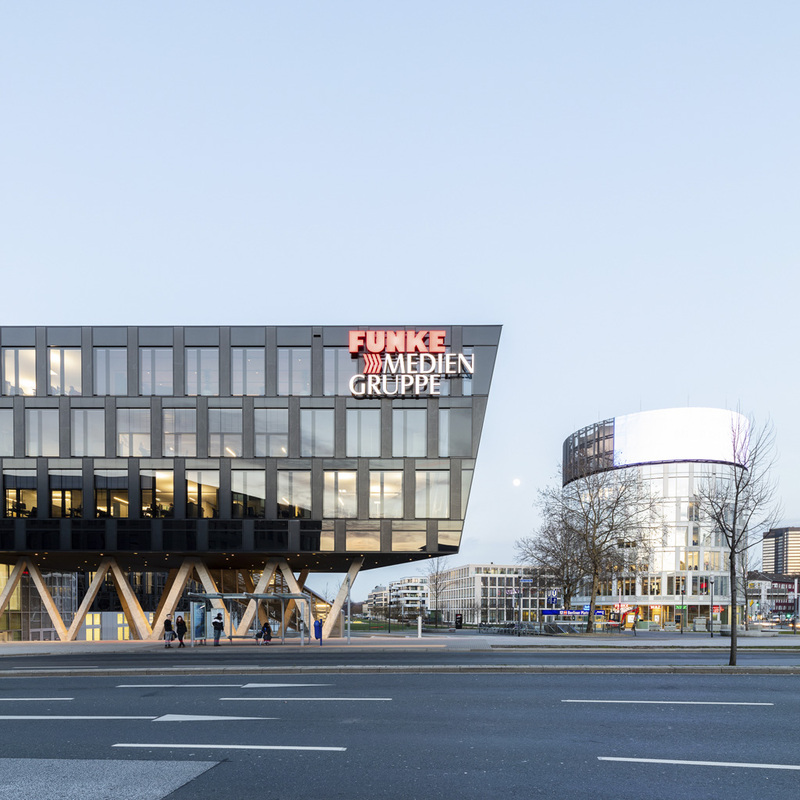 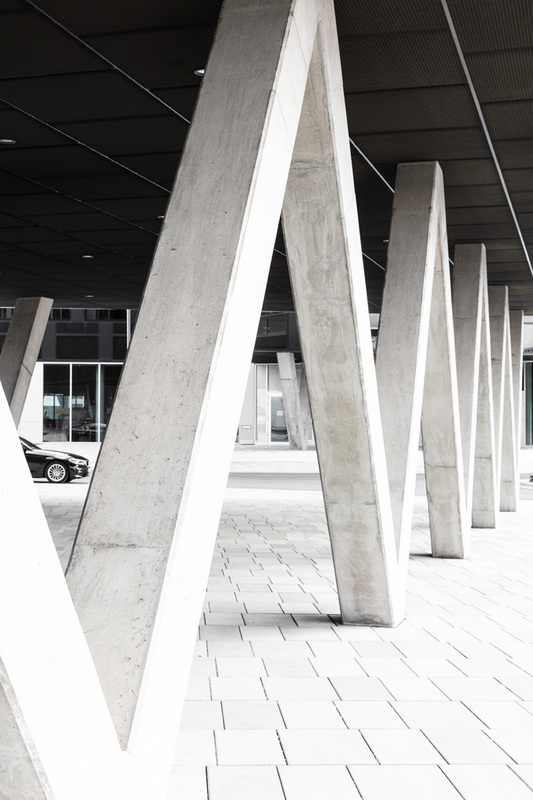 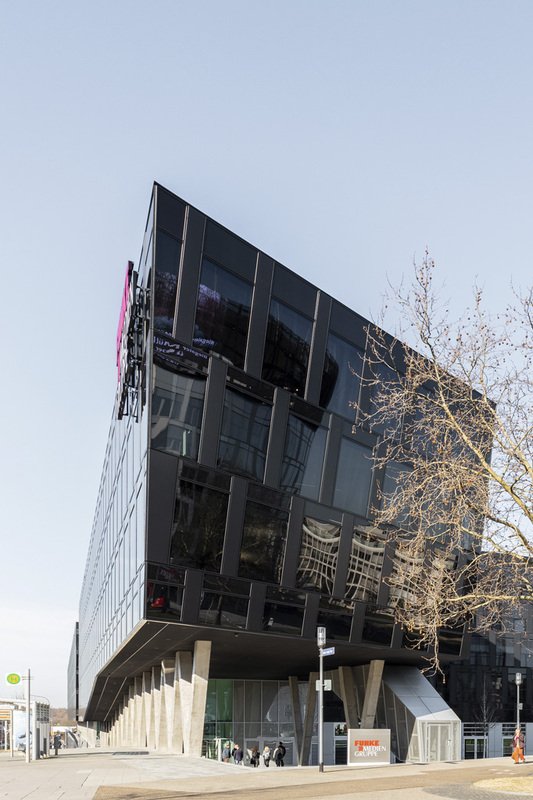 Situated between Essen’s Grüne Mitte and Berliner Platz neighborhoods, the built ensemble of the Funke Media Office may, with the harmonious interplay of its structural parts, be read as an urban architectural statement that is newsworthy in every possible sense of the word. 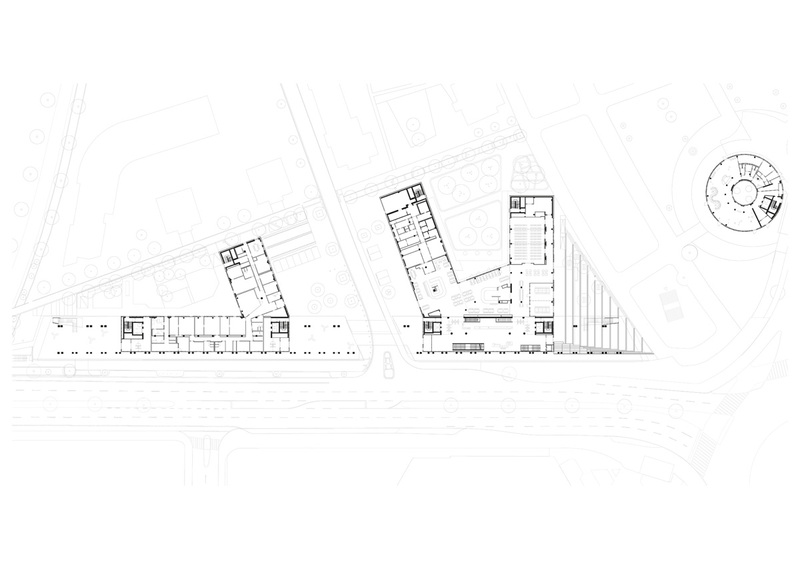 Electrical planning: Kubik Project Ges.m.b.H.